Today I want to talk a bit about a different subject. Walls on boundaries. I know, this has nothing to do with building a sustainable home. But regardless, it is something to keep in mind. And when building your sustainable home, you might need to build against a boundary. The background story. In May 2015 we had started the design for a new energy efficient double storey SIPs (Structural Insulated Panels) residence in Burwood. All was going well. By July 2015 the design was finished. We had designed a highly efficient 8.1-star home. We thought we were lucky because we did not need a planning permit for the new family home, so we went straight to construction drawings. We prepared all the required drawings, specifications, cabinetry design. The builder was all ready to go, Sips panels ready to be manufactured and windows from Germany about to be ordered. We only needed the neighbour to sign form 3 and form 4 in order to get the building permit. Easy, right? 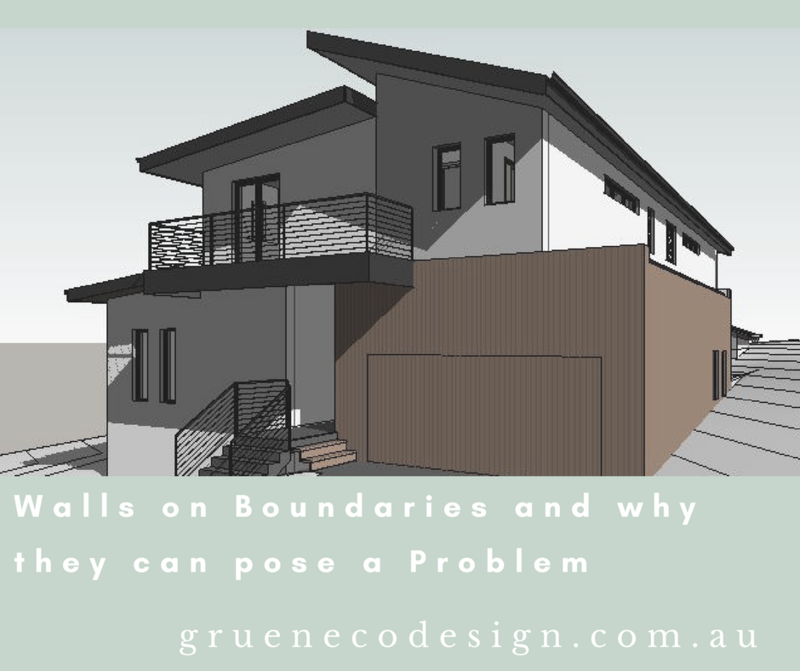 If you intend to build on the boundary (or within 900mm from the boundary) you will need to fill out a form 3 Protection Works Notice and a form 4 Protection Works Response notice to your neighbour. In short, you must advise them about any proposed works that will affect their property, how this works will be done and what measure are put in place to protect their property. In our case we had retaining walls on the boundary to our southern neighbour. There was no building abutting the boundary on their side, but a driveway. In our case we had a retaining wall on the boundary. Not even a huge one. Ranging between a few hundred millimetres. At the highest point maybe 1.3m. However. The neighbour did not want to sign the protection notice and got back to us with a long-detailed list of questions and queries. This was in September 2015. I will spare you all the long and tedious details. But I think there was something around 7-10 different written responses from our engineer in cooperation with the builder to ensure the neighbour that our proposed works would not impede on their property. Endless changes to plans and engineering. Many lost hours and sleepless nights. Also, lawyers from either side and a huge expense. And then finally in September 2017!!!! The building surveyor finally made the determination in our favour that our proposed retaining wall and details were sound and safe and a building permit was issued. During the process we had discussed with the clients to change the design to get rid of the retaining walls. But out of principles they had decided to stick to their guns and fight for their right to have the house and landscaped garden around it that they wanted. The project is currently still under construction and I have posted a few project updates on our facebook page. So, if you are planning to do any work on the boundary, be mindful and maybe check with your neighbours in advance if they have any issues with what you are proposing.